A joint venture of Blue Moon Capital Partners and Áegis Living affiliates purchased three Class A seniors housing properties totaling 253 units in suburban Seattle and Northern California. The properties were acquired from Aegis Living, free and clear of existing financing. The portfolio offers a blend of assisted living and memory care units within properties that feature best-in-class finishes and have a combined average occupancy of nearly 95%. 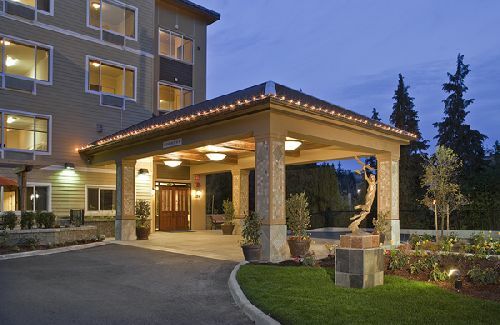 The two Seattle-area properties in the portfolio are Áegis of Bellevue at 148 102nd Avenue SE in Bellevue, which consists of 68 assisted living and 18 memory care units, and Áegis Lodge of Kirkland at 12629 116th Avenue NE in Kirkland, which consists of 70 assisted living and 17 memory care units. The Northern California property, Áegis of Aptos, is located at 125 Heather Terrace in Aptos, which is an oceanside community approximately eight miles east of Santa Cruz and less than 40 miles south San Jose. HFF’s David Fasano, Ryan Maconachy, Chad Lavender, Ross Sanders, Mark Wintner and Christopher Ross represented the seller in the transaction. In addition, HFF’s Sarah Anderson secured fixed-rate agency financing to fund the acquisition.